Springtime means bright sunshine, blooming plants and warmer weather, making it the perfect time of the year to celebrate Earth Day! April 22 is meant to show support for environmental protection and appreciation. North Texas has an abundance of events happening throughout the entire month of April to help celebrate Earth Day, and we can help get you there! Although you most likely can’t tackle this feat on your own in a month, you can have a part in running the distance of the equator – all while staying in Denton and Lewisville! Join other North Texans in the 2019 Earth Day 24,901 Mile Run/Walk Challenge. All you need to do is register and walk or run at least two miles a day in April to contribute to the overall goal! Whether you want to walk to where you need to go or even run on the A-trail Rail Trail, participating in this challenge means less pollution in the air and new challenges for you! For more information on registration (ranging from free to $55), visit here for Denton and here for Lewisville. 7:30 a.m. to 10 a.m.
For more information on LLELA and other activities celebrating Earth Day, visit .llela.org/activites-programs/-curm-4/-cury-2019. Bring your whole family to take part in the award-winning Denton Redbud Festival! Whether you want to purchase some new plants, try out some new eco-friendly household items or work on beautifying Denton, you can do all of that and more on Saturday, April 13, from 10 a.m. to 4 p.m. at the Denton Civic Center. Take Denton Connect Routes 5 and 6 to get to this Earth Day-inspired event. For more information, visit kdb.org/programs/beautification/denton-redbud-festival/. Take a break from classes and stop by EarthFest at the University of North Texas (UNT) from 4 p.m. to 7 p.m. on Thursday, April 25. The celebration of all things Earth and environment takes place on the Campus North Green (between Sage & Sycamore Halls) and will showcase live entertainment, local vendors, student organizations, locally-sourced food and a plethora of educational activities! Take Denton Connect Routes 7 and 8 to make your way to the UNT campus. For more information, visit studentaffairs.unt.edu/student-activities-center/programs-and-services/earthfest. Get excited for another year of EarthX – one of the world’s largest eco-expos held at Fair Park in Dallas! 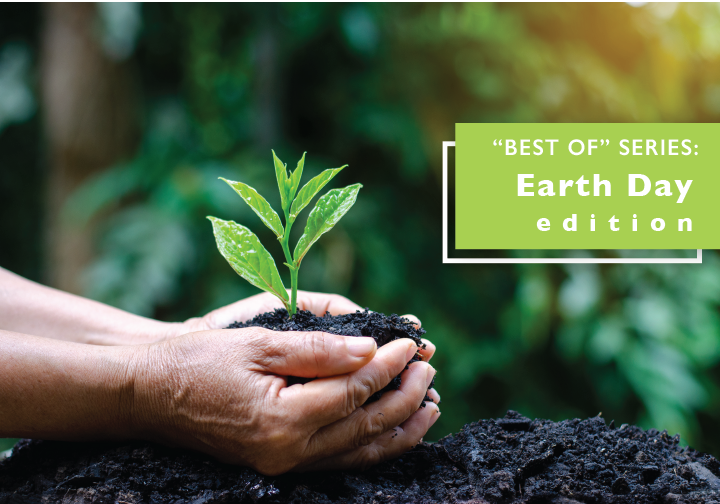 EarthX brings together all things “environment” – from initiatives and research to new discoveries and innovations, learn what steps you can take to make the world a better place for years to come! From Friday, April 26 to Sunday, April 28, attend workshops, conferences, films and classes that will help you expand your mind and learn even more about the world around you. Take our A-train to the Trinity Mills station and connect on the Dallas Area Rapid Transit (DART) Green Line. Make sure to plan your trip in advance and check out DART’s Downtown Dallas Track Improvements Schedule. PLEASE NOTE: There is no A-train service on Sundays! For more information, visit earthx.org/expo/. Which event are you going to #RideDCTA to this month in celebration of our environment? Let us know in the comment section down below!